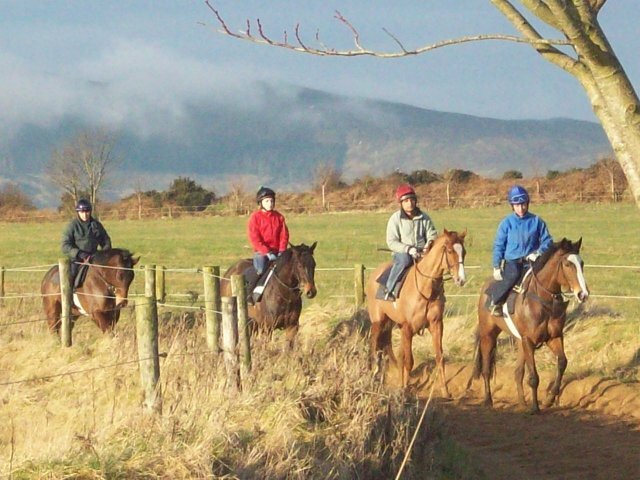 Pat Flynn Racing Stables are situated in a quiet country setting which is ideal for training racehorses. We have a dedicated team who work very well together and our aim is to give the best possible care and to achieve the maximum performance from each horse under our care. We also aim for peak fitness, health, strength and happiness of the horses. We aim to provide as much fun and enjoyment for our owners as possible. We do our best to bring in prize money where achievable in addition to keeping expenses at a minimum. Owners are always welcome to come along and see their horses exercising on the gallops. To date, over 750 winners have been trained at our stables including Cheltenham winners, Listed and Group race winners, and we have also had many valuable placings in other big races. We hold the record for back-to-back winners with Montelado at Cheltenham and also trained the winner of the last race ever run in the Phoenix Park with Wild Jester. Pat Flynn trained the two horses with the fastest times in the 2 mile novices hurdle at the Cheltenham festival in the last 100 years. STAN JAMES SUPREME NOVICES HURDLE (2 MILES) - FACTS AND FIGURES SINCE 1902. The fastest time for the above race was achieved by Montelado in 1993 at 3 mins 50.6 secs. French Ballerina came close to that record in 1998 when her time was 3 mins 50.9 secs. Both horses were trained by Pat Flynn. The 1993 winner Montelado holds a unique position in the history of the Cheltenham festival meeting. He is the only horse to have won consecutive festival races landing the Weatherbys Champion Bumper in 1992, the last race of that years meeting. He returned the following year and smashed the course record while winning the first race of the festival, the Trafalgar House Supreme Novices Hurdle. The Stan James Supreme Novices Hurdle is the only race at the festival to have been divided. 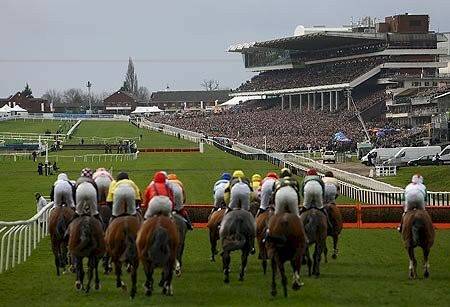 From 1946 to 1971 when known as the Gloucestershire Novices Hurdle, it was divided on no less than 25 occasions. In 1946 and 1963, there were three divisions. The smallest field was in 1950 with 9 runners in division 1. The largest fields hosted 30 runners in 1985 when Harry Hastings won, and in 1998 when French Ballerina won. French Ballerina was the only filly in that 30 runner field. The maximum field allowed is now 24.